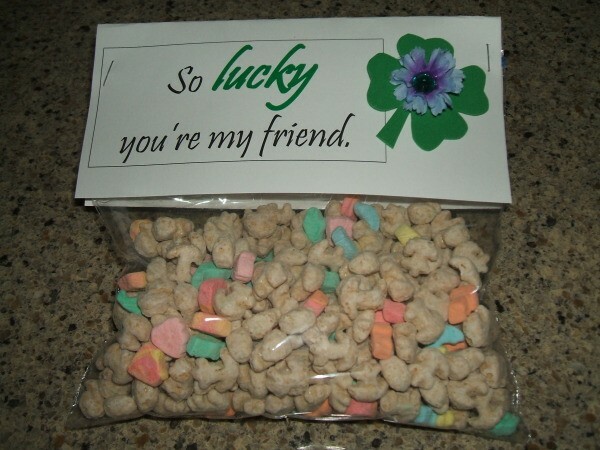 An inexpensive gift to make at home is a specially packaged bag of Lucky Charms cereal decorated with greetings for the day. This is a guide about St. Patrick's Day Lucky Charms gift. This is a cute, quick, and inexpensive way to tell a friend "Happy St. Patrick's Day!" If you don't have a computer and printer, you can simply write out the words using markers. 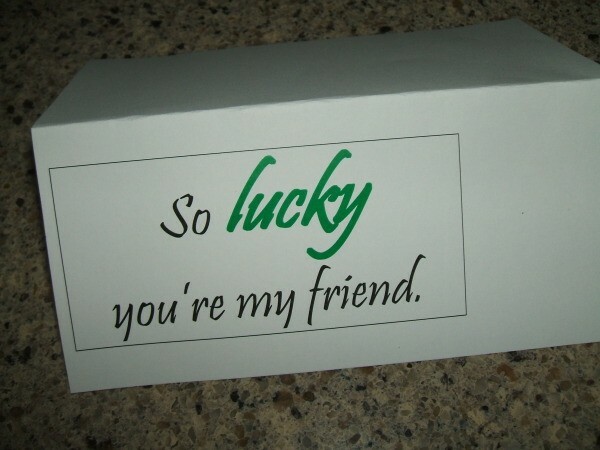 I typed "So LUCKY you're my friend" and printed it at the bottom left edge of an 8 1/2 x 11 inch piece of card stock. 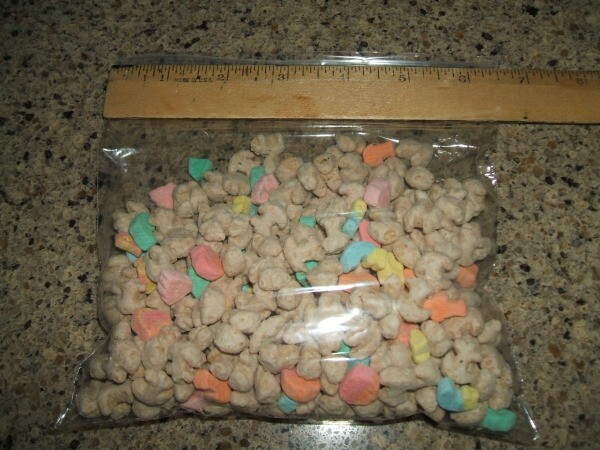 Fill the sandwich bag with Lucky Charms and measure the width the sandwich bag. 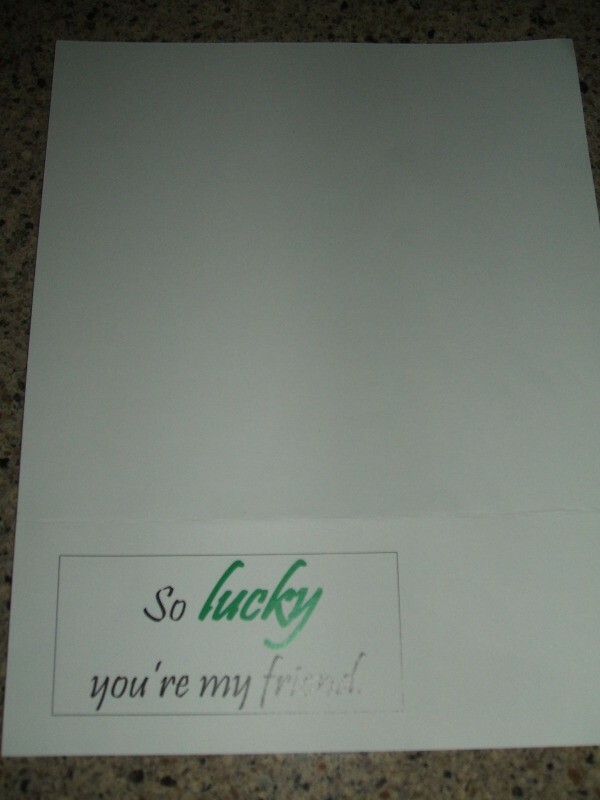 Cut the card stock to create a flap for the bag. I cut mine 6 1/2 by 6 inches. Fold it in half lengthwise. Cut a shamrock from the green craft foam. 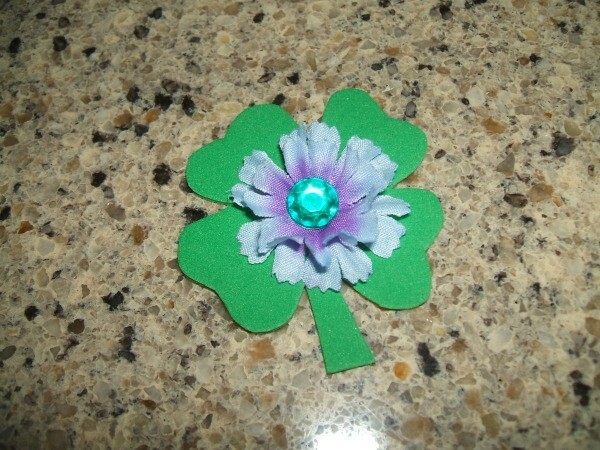 Glue a rhinestone in the center of a small silk flower, then glue the flower to the center of the shamrock. 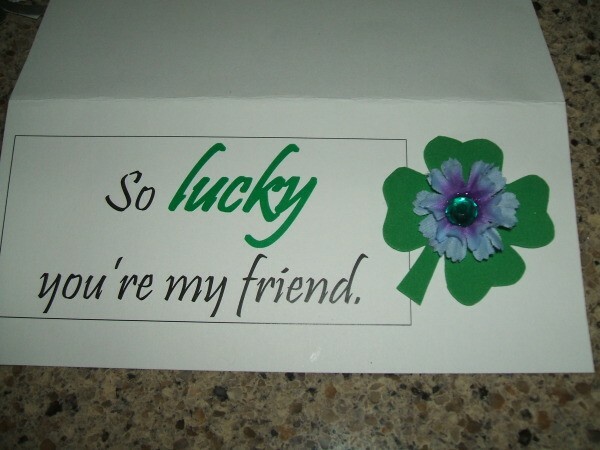 Glue the shamrock to the right side of the card adjacent to the wording. Place the folded card over top of the bag and staple on each side.